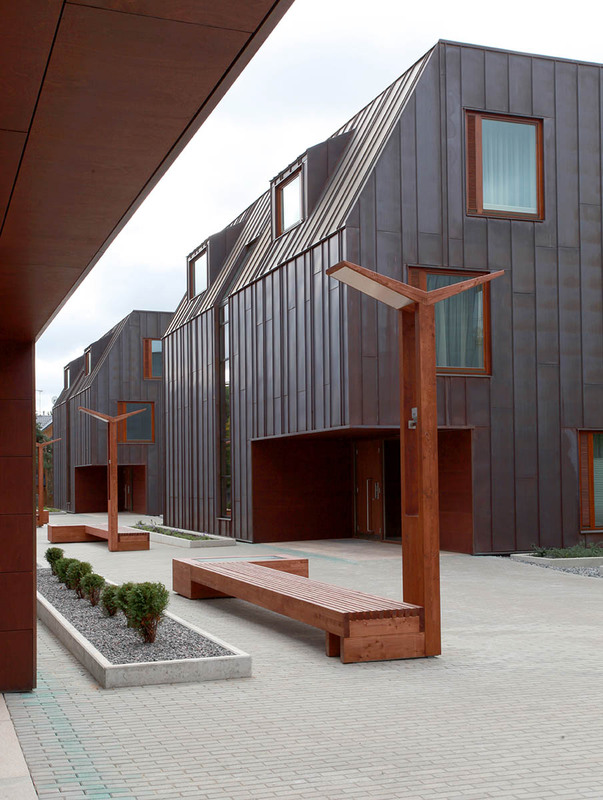 “Hiiu” is an ongoing residential development by OÜ Tardamel located in Tallinn, Estonia. 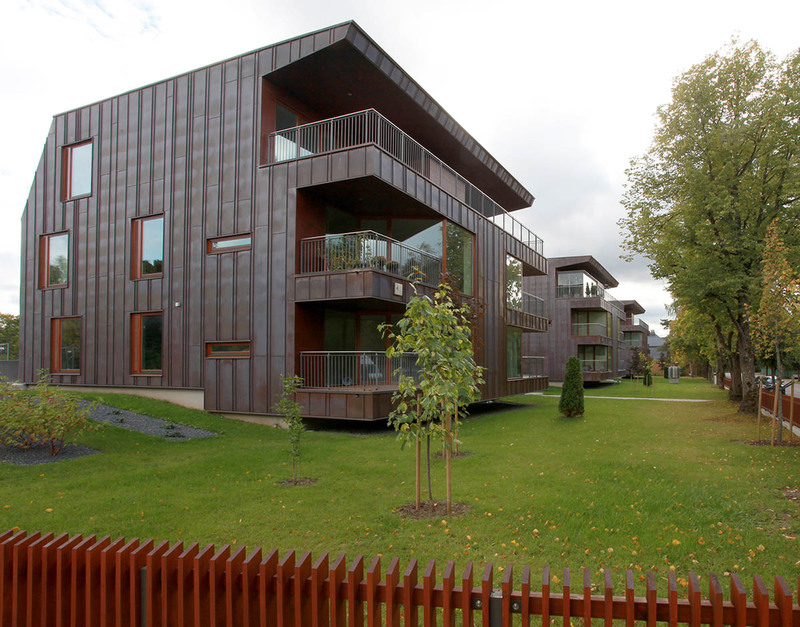 The complex includes 8,500 m² of residential units – 23 apartments (phase 1 – built) and 10 single-family residences (currently under construction), all integrated into the surrounding landscape of the Tallinn’s picturesque historic garden neighborhood of Nõmme. The project was defined by its site and the local zoning regulations which restricted the amount of developable space to a maximum of 33 housing units (600 m2 of plot area per unit) with a very low total FAR. Thus, the overall concept of the project became to be “Buildings in the park”. 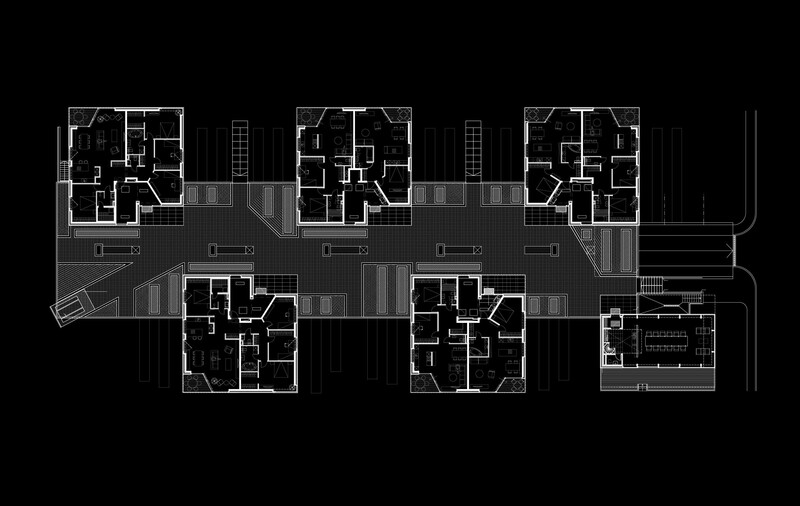 The apartment houses are put into a relatively dense arrangement on the western side of the site to provide for a more urban/communal atmosphere, in contrast to the rest of the development which is comprised of individual buildings placed discretely into the site. 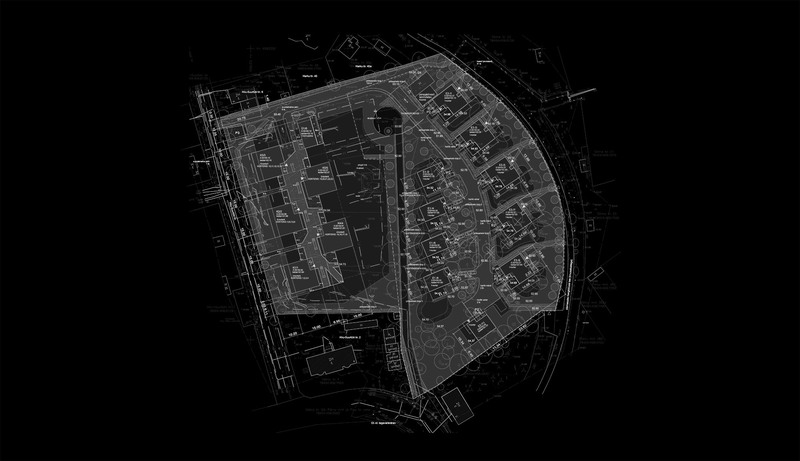 The parking level is located under ground, reducing the bulk of the development and tying the buildings together both under ground and above via a communal public space. Between the apartment houses and the private residences there is a water feature, embellished by a sculpture which provides for a picturesque living environment for the residents. 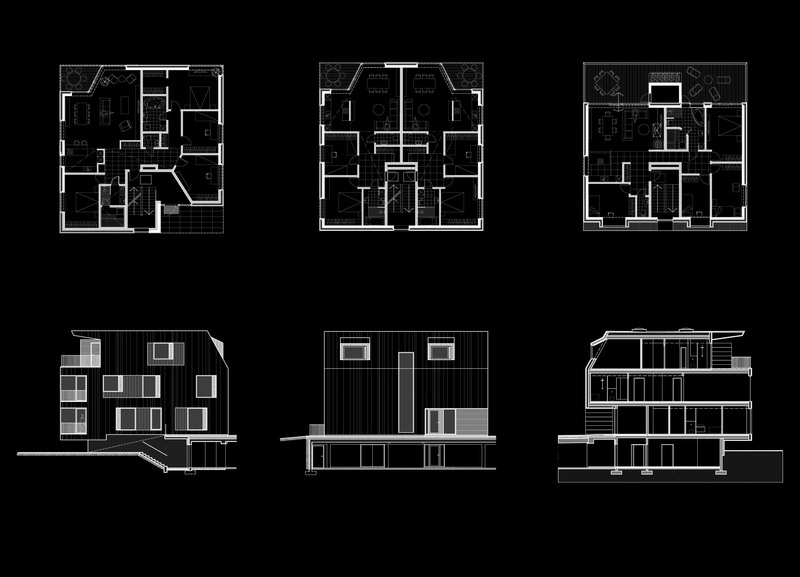 There were a number of factors that defined the solution for the facade of the apartment complex. First and foremost, it was the picturesque environment in which the complex was to be placed. 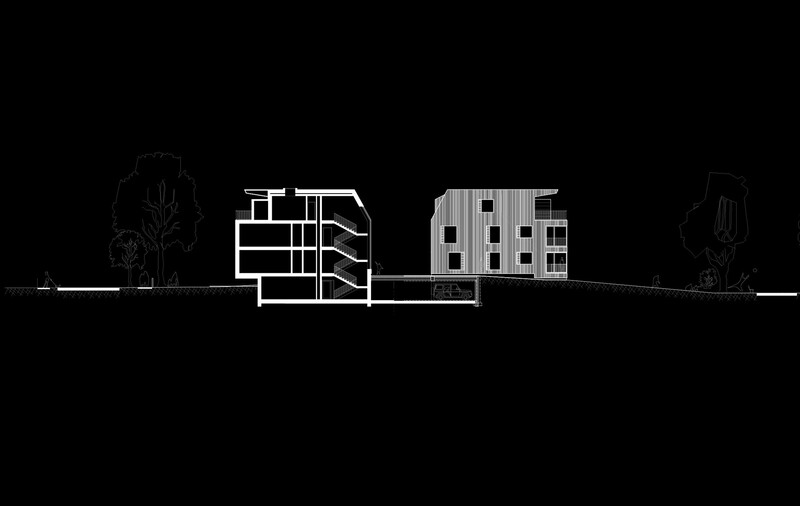 The architects wanted to blend the complex into the environment, but to do it in a modern way. 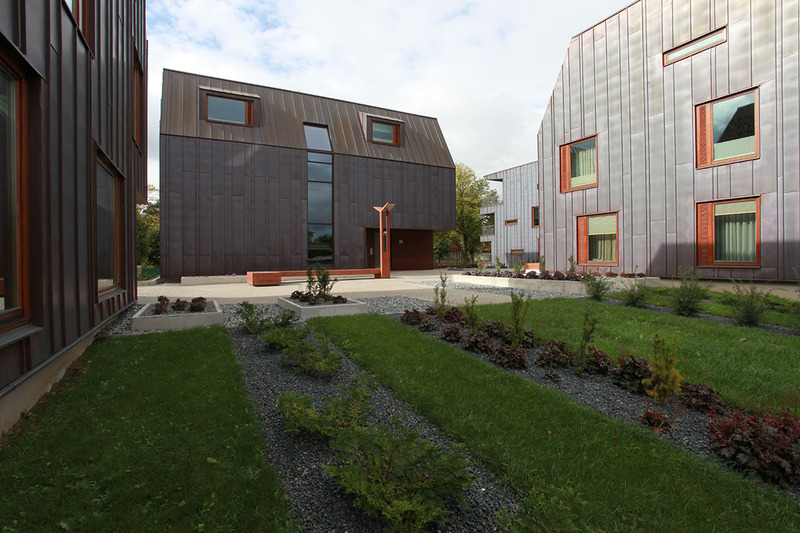 Thus, it was decided to go with copper cladding. Given its chemical properties, copper will turn green over time, letting the building age elegantly while slowly blending into its surroundings. Using copper was also dictated by the will of the architects to merge the roofs and walls of the buildings. In Nõmme, the picturesque historic area of Tallinn, the zoning regulations restrict the maximum bulk of buildings to two floors with a half-floor attic. 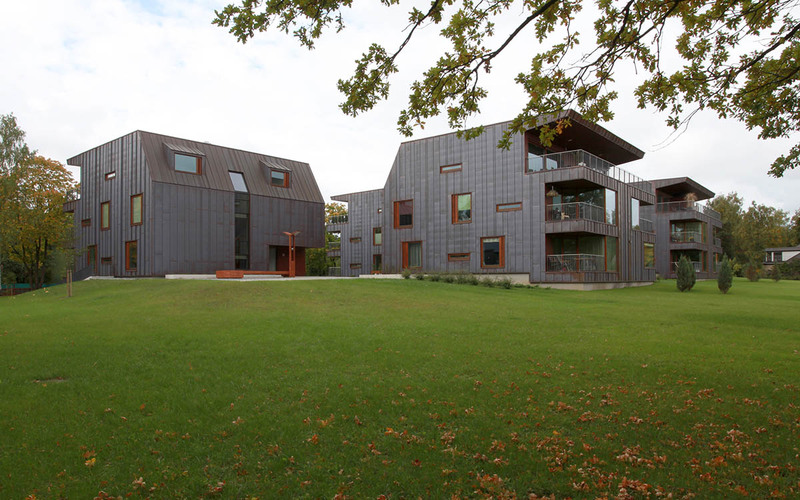 While typically this results in a default gable-roof typology, Alver Architects used the restriction as a creative form-generating tool, while using copper to visually merge the walls and the roofs of the buildings. The result is a development which while conforming to the regulations, still boasts a unique character, and generates extra value for the developer. The stripy texture of the facade of the apartment houses was a solution to the tight budget constraints. 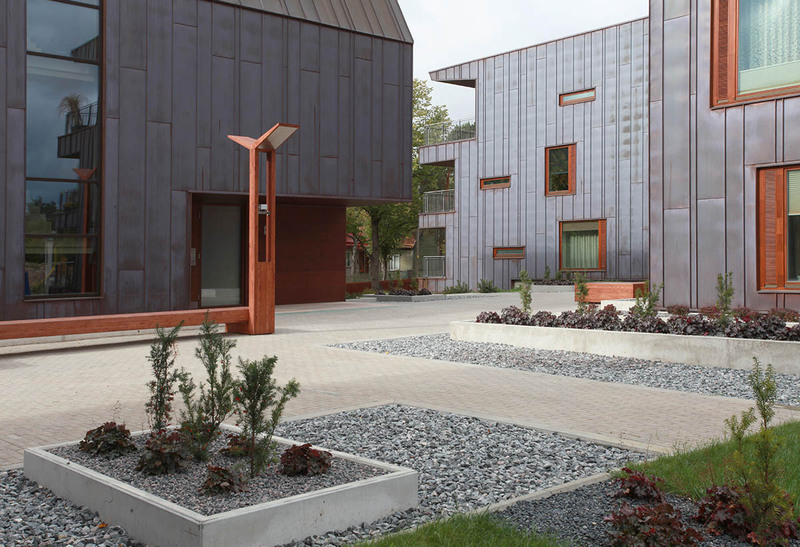 As it is cheaper to procure thin stripes of copper rather than large uniform panels or sheets, the facade was composed of thin copper ribbons of different length and width. 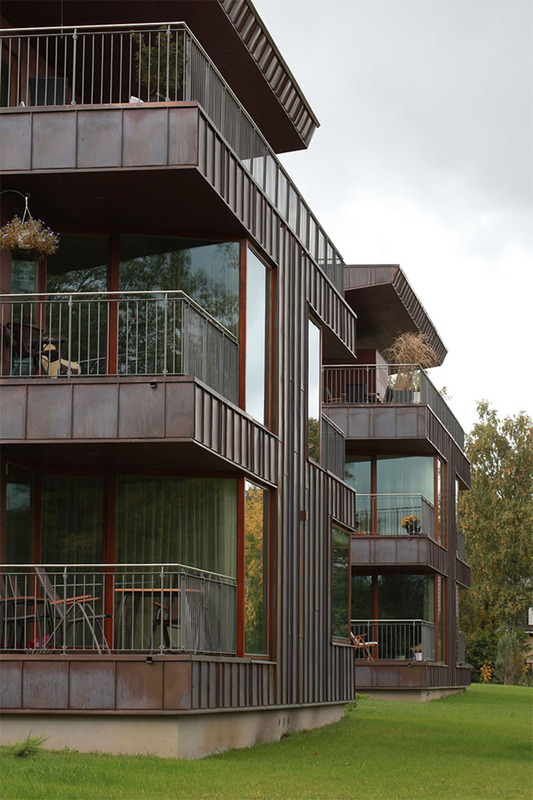 Once the copper facade was laid out, the windows were placed into it in such a way that they matched the module of the facade, while following the inner logic and insolation requirements of the apartments inside.